Everything tidy and in one place, right in the heart of your kitchen. An integrated fridge freezer, whether that is a huge full height version or a compact combination model, hides neatly behind your cabinetry and contains adjustable internal furniture that lets you create exactly the style of food and drink storage that you need at home. What’s more, when you come home from the weekly shop you can fling open the door and quickly unload everything in one place. 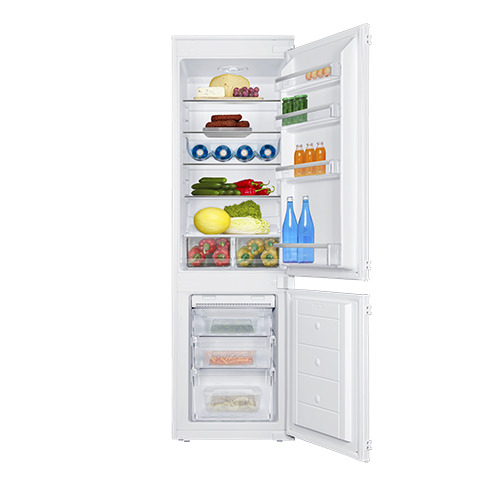 The BK2963 is an A+ rated 50/50 integrated fridge freezer. It comes with adjustable thermostat control and LED lighting. The fridge contains 4 glass shelves 2 salad crisper, 3 in door balconies and egg tray, whilst the freezer offers 4 storage compartments and an ice cube tray, making this the perfect all in one 50/50 fridge and freezer combination. 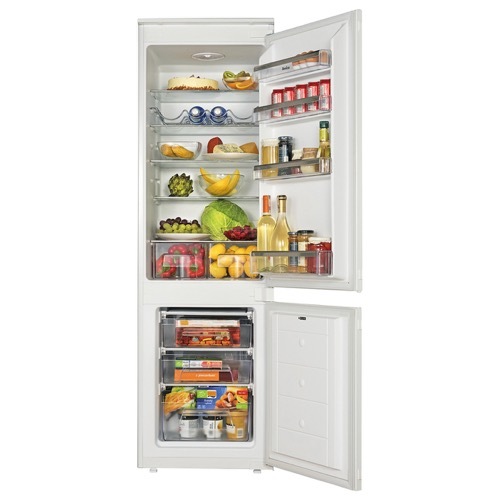 The BK2963FA is an A+ rated frost free 50/50 integrated fridge freezer. It comes with adjustable thermostat control and LED lighting. The fridge contains 4 glass shelves 2 salad crisper, 3 in door balconies and an egg tray, whilst the freezer offers 4 storage compartments and an ice cube tray, making this the perfect all in one 50/50 fridge and freezer combination. 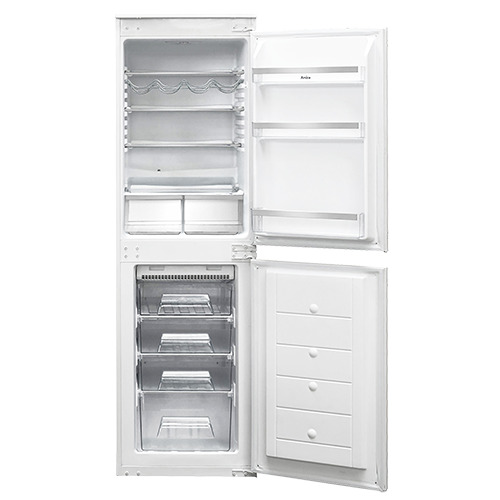 The BK3163 is an A+ rated 70/30 integrated fridge freezer. It comes with adjustable thermostat control and LED lighting. The fridge contains 4 glass shelves 2 salad crisper, 3 in door balconies and an egg tray, whilst the freezer offers 4 storage compartments and an ice cube tray, making this appliance both energy and space efficient. 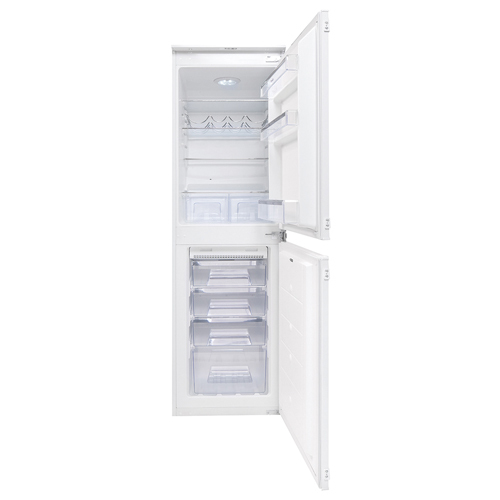 The BK3163FA is an A+ rated frost free 70/30 integrated fridge freezer. It comes with adjustable thermostat control and LED lighting. The fridge contains 4 glass shelves 2 salad crisper, 3 in door balconies and an egg tray, whilst the freezer offers 4 storage compartments and an ice cube tray, making this appliance both energy and space efficient.